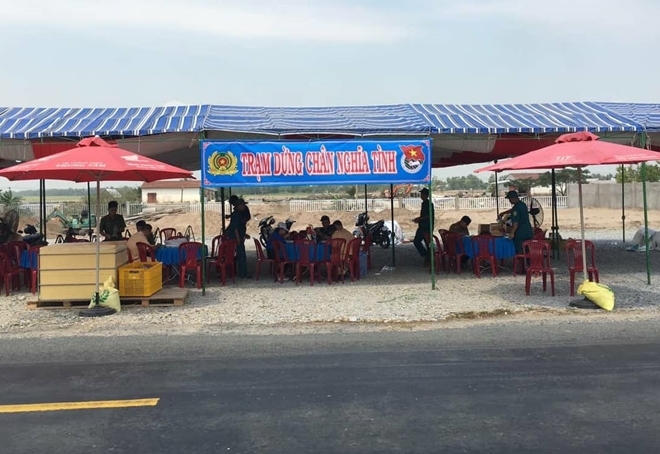 PSNews – In the past days, the traffic police force of Hong Ngu Town, Dong Thap Province has built up a “compassion stopover” on provincial road 842 through An Binh commune to provide fresh water and washcloths to people who are on the way returning home for this Tet. 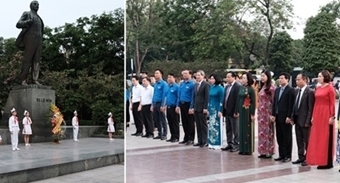 After the Lunar New Year festival, on February 7th (the 3nd day of Lunar New Year 2019) the functional forces will also organize some “compassion buses” to carry families with children under 10 years old from Hong Ngu Town bus station to Binh Duong City. Senior Colonel Nguyen Phi Van, Deputy Head of the Tam Nong District Police Division said that, on February 2nd and 3rd, the Youth Union Chapter of the local police also deployed the model “compassion stopover” on the provincial road 844. “Over the past 2 days, the local forces have distributed over 12,000 water bottles and cold washcloths to travelers. The stopover also arranged some hammocks for people to take a rest”, Senior Colonel Nguyen Phi Van said.